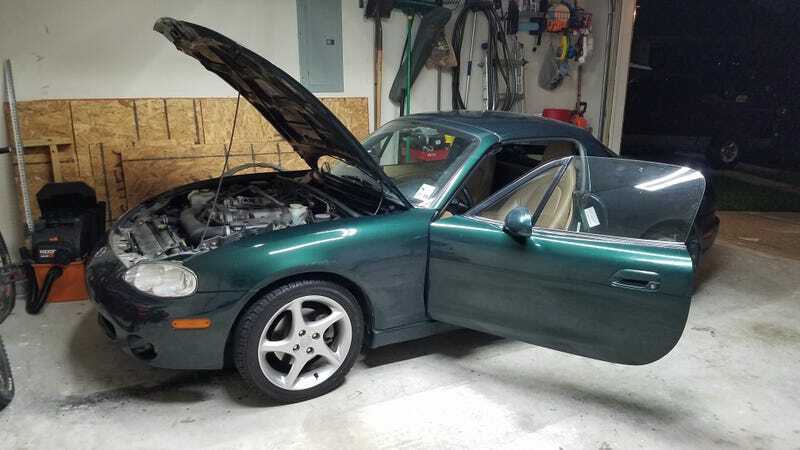 Well I ended up buying that green NB with the hardtop I posted the other day. Dealer negotiated with me on the price based on the torn driver seat. Getting the seat recovered gives me an excuse to do a foamectomy. It was a one owner car with a lot of the original dealer paperwork. Dealer serviced since new. Bone stock, 86k miles, and matching hardtop.